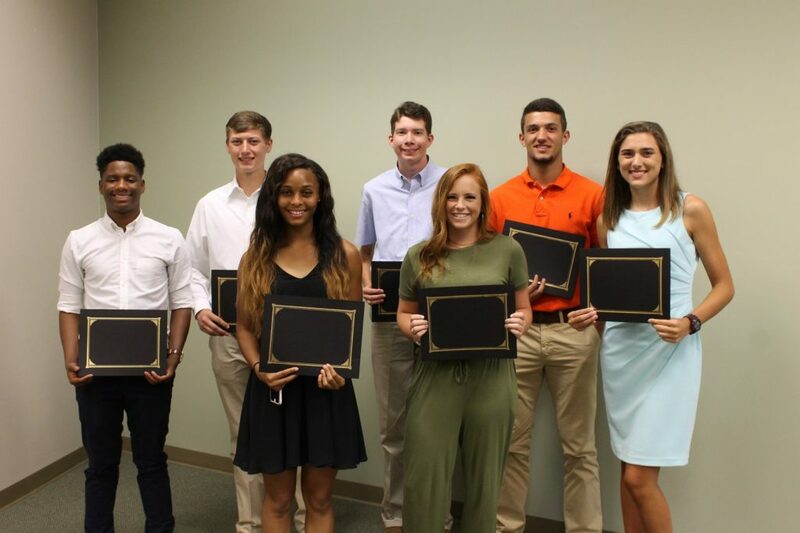 Laurel, MS – On Tuesday, June 26th, South Central Sports Medicine announced the 2018-19 Scholar Athletes at the annual Sports Medicine Coaches’ Seminar at South Central Place in Laurel. The South Central Sports Medicine Scholar Athletes are senior athletes selected by athletic directors of their respective schools. The 2018-19 class represents students from Laurel Christian School, Laurel High School, Northeast Jones High School, South Jones High School, Stringer High School and West Jones High School. After the presentation of Scholar Athletes, South Central Sports Medicine team provided health education updates to local athletic directors, coaches and school administrators. The overall topic included information on anterior cruciate ligament (ACL) injuries. Derrick Burgess, MD, Orthopaedic Surgeon/South Central Sports Medicine Medical Director, Joel Pierce, DPT, and Kirk Landrum, ATC, presented to guests about ACL surgery, recovery process and returning to play after ACL injuries. South Central Sports Medicine offers a comprehensive program from injury prevention to returning to play after surgery for area athletes of all ages. With the addition of South Central Sports Performance+, led by Derek ‘Spike’ Richards, athletes are offered preventative care, surgery options, physical therapy, strength and conditioning and coverage at local physical contact sporting events. In August, South Central Sports Medicine will offer a free Saturday Morning Injury Clinic for all Friday night athletes who may have sustained an injury. To learn more about our sports medicine program, please visit our website at SouthCentralSportsMedicine.com or call 601-399-0530.